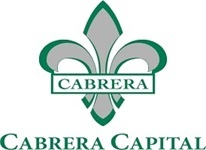 Cabrera Capital Markets Preferred Securities team’s four investment professionals have an average of 20 years of institutional experience. The team covers the major Preferred Securities investor base and has extensive trading expertise. As a result of the partnership with our Debt Capital Markets Banking and Syndicate group, we are frequent participants in the new issue Preferred Securities transactions.